Japanese toy maker Sega is selling cyborg chicks that look and feel like the real thing. 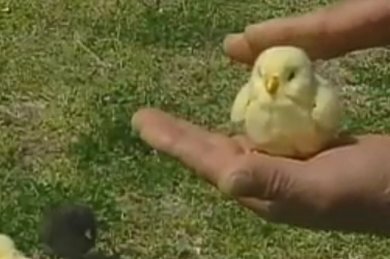 Modelled on 3-day-old chicks, they has touch sensors that trigger them to chirp or flap their wings when their back is stroked. They costs about $19.